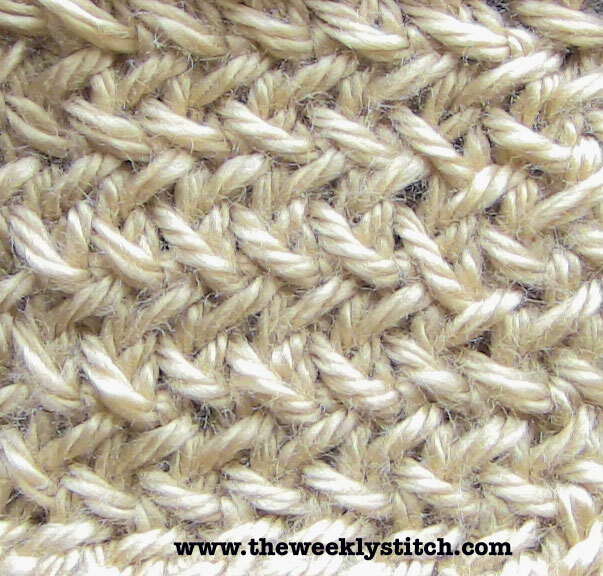 This is similar to the Herringbone Stitch video I did in 2011. 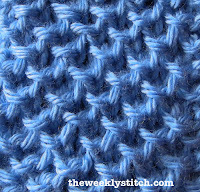 This makes a nice thick, dense fabric. Practice makes perfect with this stitch. It isn't hard, but may take a few tries to get comfortable with. 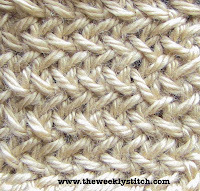 You can find a great scarf from Purl Bee using this stitch. Click HERE. 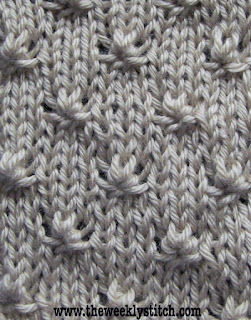 All slipped stitches are to be slipped knitwise with the yarn held to the back. 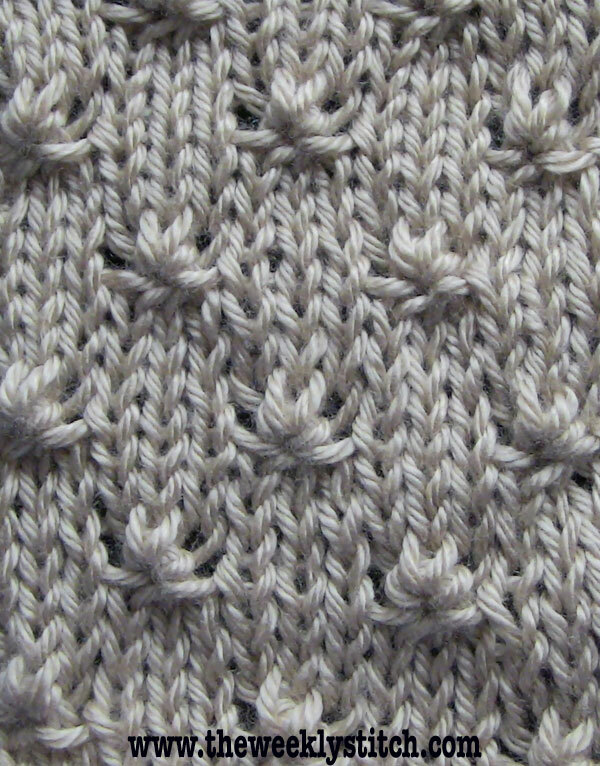 Rows 1 and 3, the two stitches are are knit together through the back loop are a yarn over and a knit stitch. 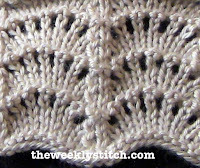 Rows 2 and 4, the yarn over tends to cover the second stitch that you are to knit. You may need to hold the yarn over out of the way with your thumb or finger to get to the second stitch.